The death of rapper Nipsey Hussle is this generation’s Tupac moment. Born Ermias Asghedom, he was an American rapper and songwriter from Los Angeles, California. At only 33-years-old, the business owner was gunned down and murdered in his own neighborhood; near a clothing store he owned. 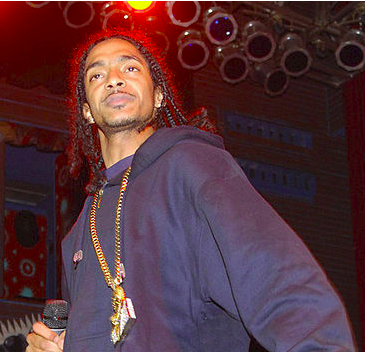 Hussle’s philanthropic work went well beyond the usual celebrity “giving back” spirit. The rapper’s activism, leadership, and dedication to the community was an inspiration for Californians and beyond. Although the 33-year-old artist did not have the legendary musical catalog of Tupac Shakur, his death, as with Shakur’s, marks a sad milestone in the music industry. There are undeniable parallels between the two artists. Both utilized their fame as platforms to fight injustice. Rising from hard street lives to become stars in the entertainment industry, both became victims of the type of gun violence from which they rapped about. Know he a genius, he just can’t claim it. Ten years from now, I would like to have laid a blueprint down that other people can follow who came from the same situation. To see how many people are affected by the passing of Nipsey, it’s most definitely safe to agree that he was right when he said he was the Tupac of this generation. Nipsey, you WILL spark one of the minds that changes the world. Your story & legacy will live on forever. I honestly feel like Nipsey death and the effect he had on the black community must’ve been what our parents felt like when Tupac died. It wasn’t just about the music, it was the influence [sic]. In spite of his relatively short recording career, Shakur left an enduring legacy within the hip-hop community. His popularity did not weaken after his death. In the same manner, Hussle’s work will continue to shine. The place where the “Hussle and Motivate” artist died has become a memorial scene complete with flowers, candles, balloons, and memorabilia of the famed rapper. Nipsey Hussle is hailed as this generation’s Tupac Shakur. To the fans delight, unlike Shakur, Hussle’s killer has been identified.